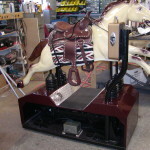 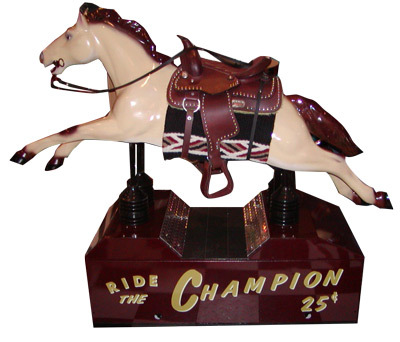 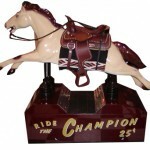 The Champion Horse Ride is one of the most popular 1950’s coin operated kiddie rides out there. 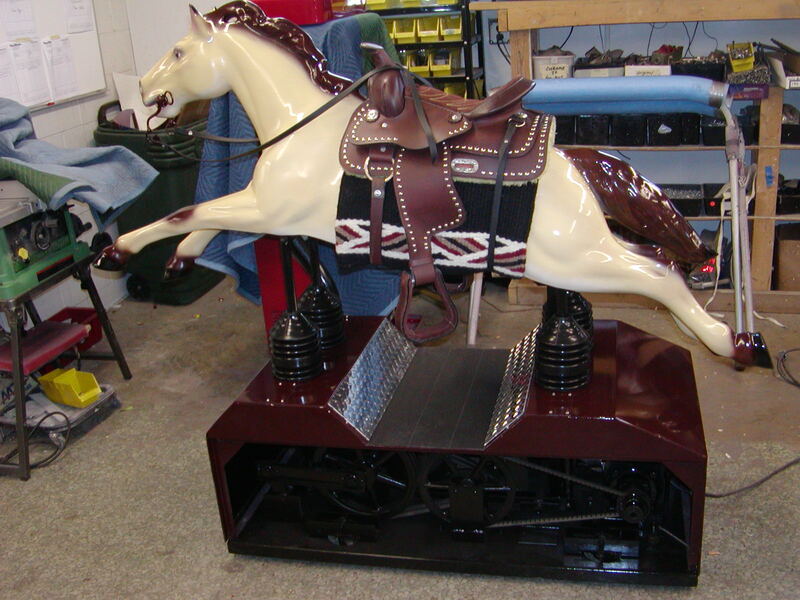 We restored this one for one of our favorite customers. 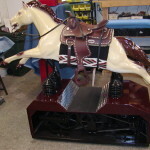 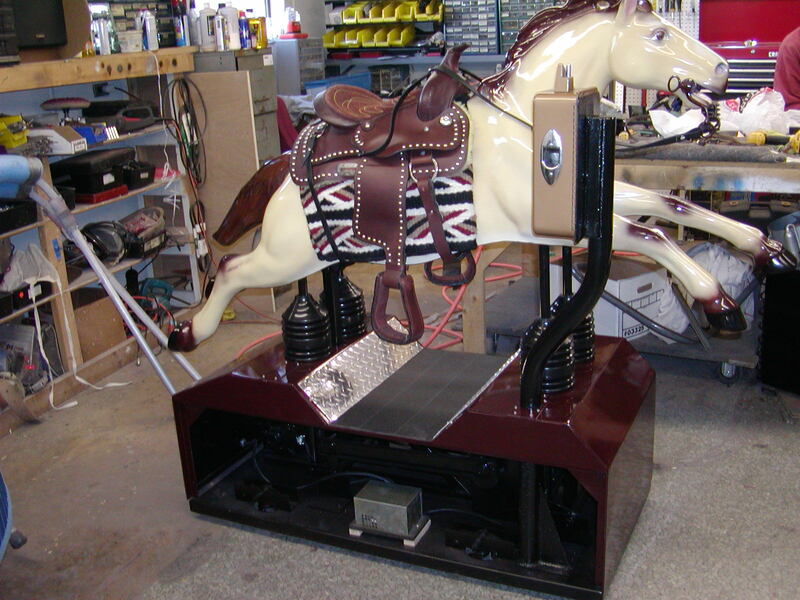 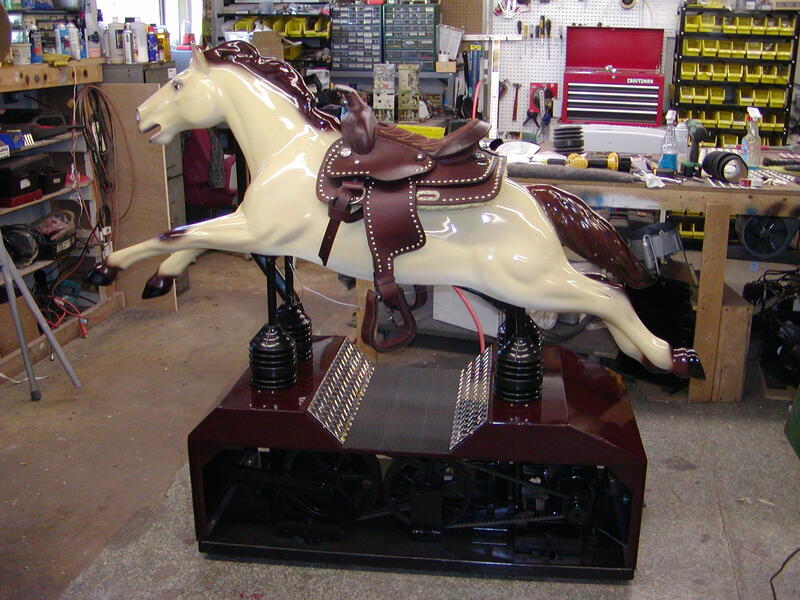 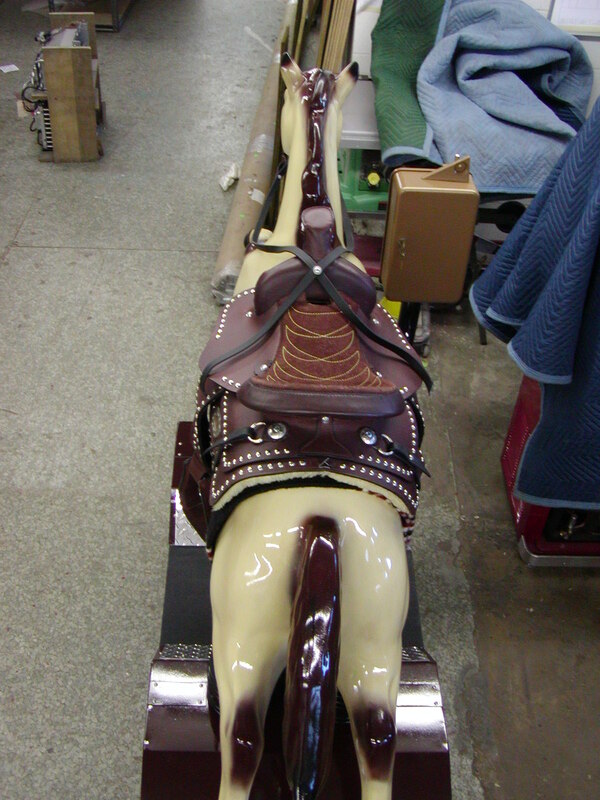 This Champion Horse Ride restoration includes professional hand painted and restored horse, new saddle, restored original base, new motors, and a new coin mech. 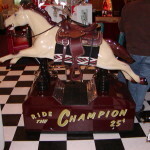 The ride can be set to a quarter per ride or you can choose to have it on free play. 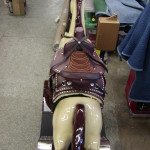 All of our restorations are done to grade 1 and are in better than new condition when we are finished. 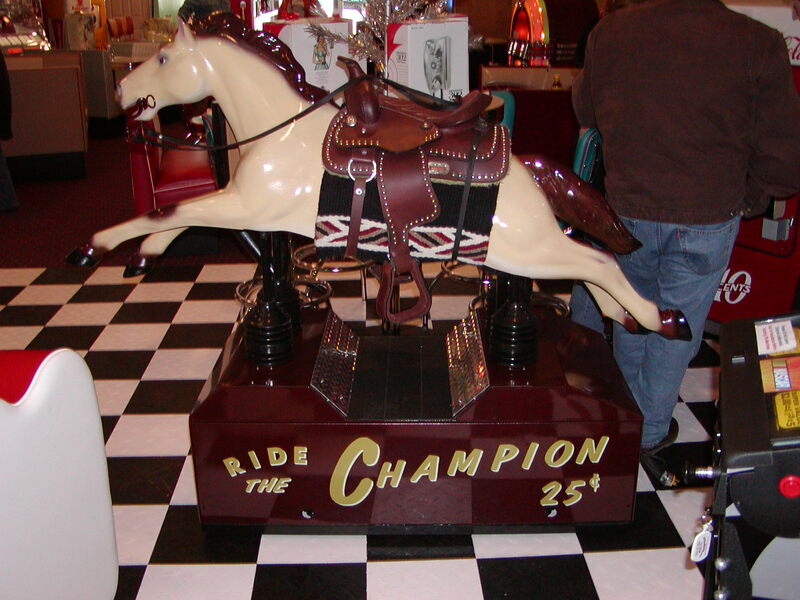 This ride is sure to give another 60 years of joy to its owners. 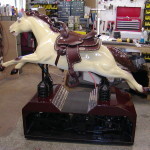 If you want more information on our restorations check out www.bitw.com.